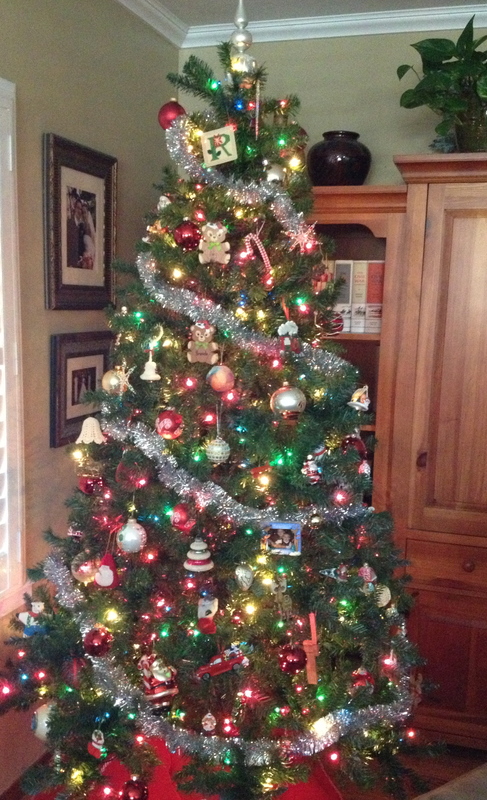 There is a tradition in my family to put up the Christmas tree at my parents’ house the day after Thanksgiving. My mom used to think it was a little early, but last night as we were driving back from my sister’s house after Thanksgiving dinner, we noticed at least 3 houses who already had their trees up in their front rooms. I’d heard of some people putting up their Christmas trees on Thanksgiving, but it was very rare, almost a myth. While I thoroughly enjoy Christmas, I don’t want to completely negate Thanksgiving. It’s a fun holiday that stands on its own. I mean it’s all about good food and good company, what’s not to love? But now the Christmas season has begun, so batten down your hatches. A couple of days ago, I wanted to start listening to Christmas music and putting out Christmas decorations, but I felt awkward and embarrassed about it. I didn’t need the public shaming that comes with starting up the holiday cheer earlier than is socially acceptable. Now it doesn’t matter. I can wrap myself up in holly and tinsel. I won’t because holly is scratchy and hurts. But I can listen to Jingle Bell Rock and Holly Jolly Christmas until my brain is full of holiday spirit. Because sometimes listening to Christmas music and looking at the holiday decorations makes me feel happy and content. It reduces my stress. It reminds me of the joy I felt as a kid and the joy my nephews will hopefully feel now. I’ve got a little bit of Christmas music mixed into my regular iTunes playlists, and no one has ever complained to me about it. But I can’t go full Christmas music, I’m too much of a Scrooge to handle it. I just have doses of Christmas music. I can’t listen to it all day, every day. Just those moments when the spirit grabs me, then I crank up the carols.